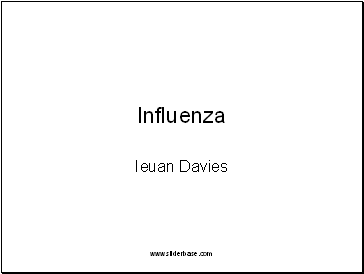 Influenza is an acute, viral respiratory infection. 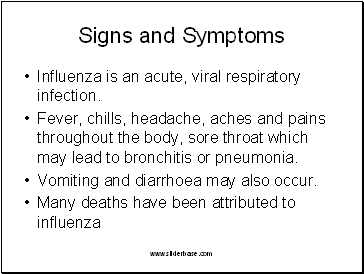 Fever, chills, headache, aches and pains throughout the body, sore throat which may lead to bronchitis or pneumonia. Vomiting and diarrhoea may also occur. 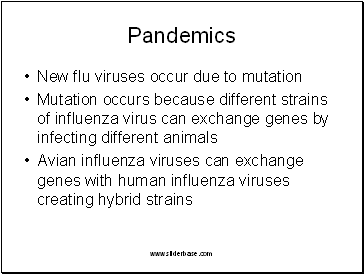 A pandemic is a world wide spread of infection occurring in many countries simultaneously. 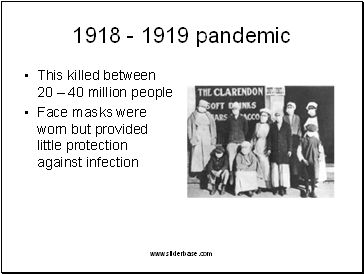 Flu pandemics occur approximately every thirty years. 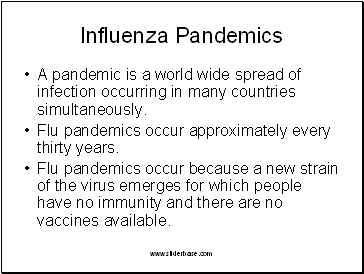 Flu pandemics occur because a new strain of the virus emerges for which people have no immunity and there are no vaccines available. 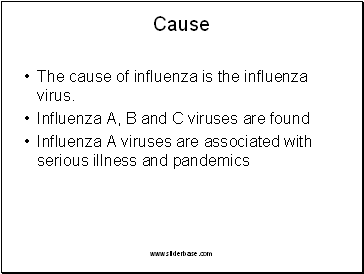 The cause of influenza is the influenza virus. 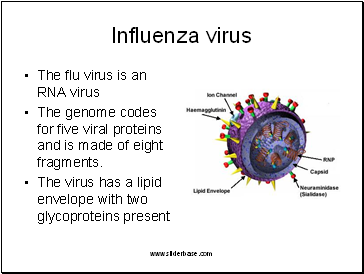 The genome codes for five viral proteins and is made of eight fragments. 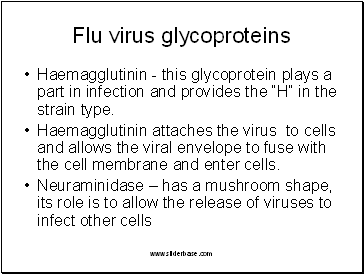 Haemagglutinin - this glycoprotein plays a part in infection and provides the “H” in the strain type. Haemagglutinin attaches the virus to cells and allows the viral envelope to fuse with the cell membrane and enter cells. Neuraminidase is designated N and different forms are available as well e.g. 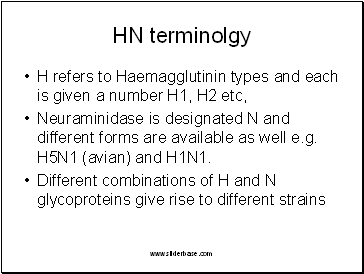 H5N1 (avian) and H1N1.